This first scholarly edition of the writings of a unique Native American woman details an extraordinary life in a combination of genres including oral history, ethnography, and western adventure sketches. 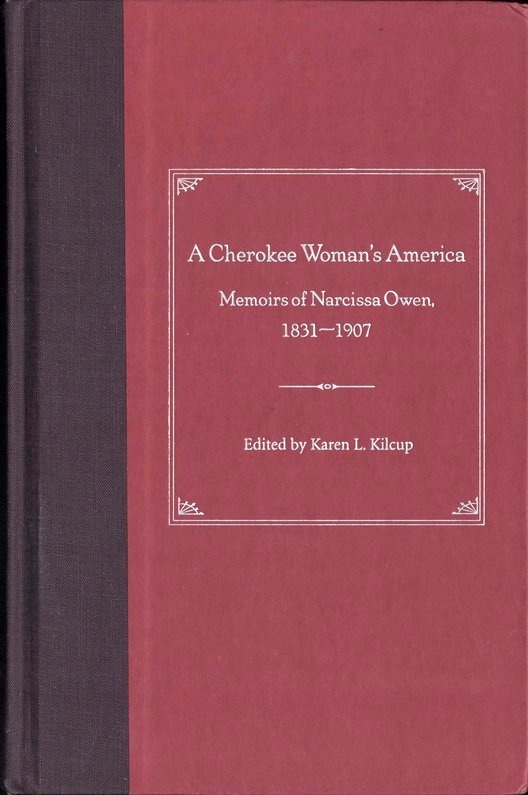 Narcissa Owen was of mixed Cherokee and Scots-Irish descent and the daughter of a leader of the Old Settlers (those Cherokees who moved west prior to their forced removal by the U.S. government, in the notorious Trail of Tears). The Memoirs reveal a fascinating and complex nineteenth-century woman–an artist, music teacher, storyteller, Confederate slave owner, Washington socialite, wife of a white railroad executive, widow, and mother of the first Native American U.S. Senator, Robert L. Owen, Jr. Her writings offer a glimpse into antebellum, Civil War, and Reconstruction American life. This edition provides a wealth of background information including a biographical preface, chronology of Owen’s life, genealogy, and textual footnotes. 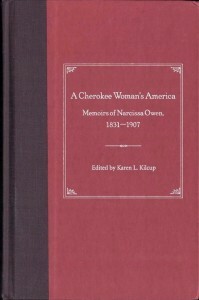 An introductory essay places the Memoirs in the context of Owen’s predecessors and contemporaries, including Cherokee cultural and literary tradition, the larger Native American historical/literary context, and women’s writing of the late 19th and early 20th centuries.